Click here for hints about planning services with different structures and building blocks. This section also contains reflections on the role of service leaders. Click here for advice about specific roles in service leading, including music, prayer and Bible reading. You will also find sample outlines to help you construct engaging and meaningful services. 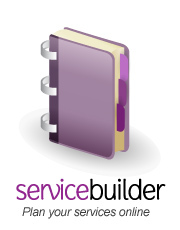 Click here for hints about using Service Builder and for resources useful for occasional services (baptisms, weddings, funerals, confirmations) and seasonal services. Click here for the full text of regular services in The Book of Common Prayer, An Australian Prayer Book, and the Sydney-based Sunday Services. You will also find liturgies appropriate for occasional services and seasonal services. Click here for guidance about training service leaders at the theological and practical level, to facilitate better gatherings in your church.